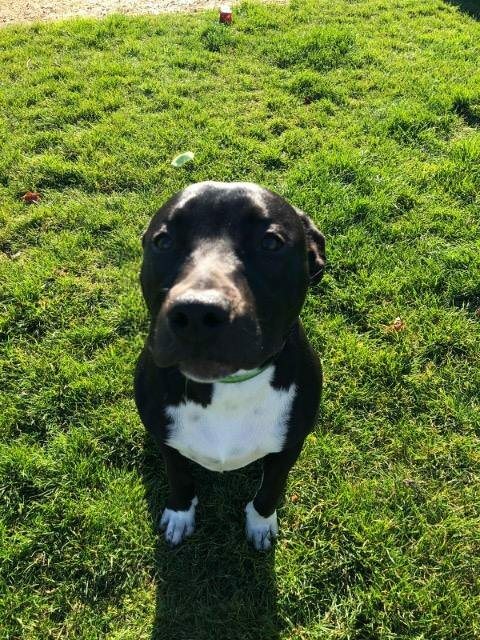 Dj is a 7 month old Staffordshire Bull Terrier who is full of life and energy. He is a clever lad he already knows some basic commands such as sit and he’s learning down very quickly. He also loves playing with his toys one of his favourite being tennis balls. 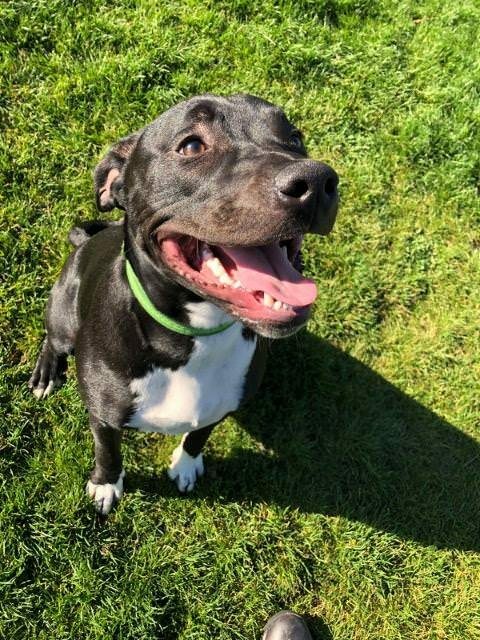 DJ is great with both dogs and people and he’s already made a couple of play mates (both dogs and people) here at the centre. 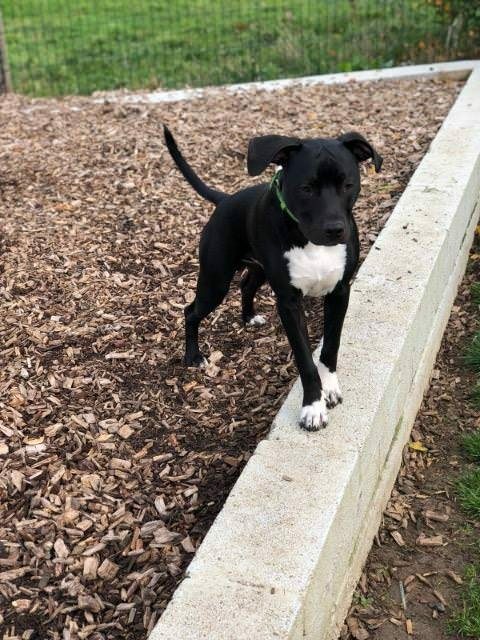 DJ would need to go to an energetic home where he can have good walks and lots of playing time. We would re-home him with another dog as he is great with them. So if you think you could give this amazing boy a new home please go onto our website and fill in a perfect match for this handsome lad.